A Dentist in Indianapolis Can Use Bonding to Fix a Smile! First appearances are important! One thing that can directly affect someone’s first impression of you is your smile. There are many cases where patients want to improve the appearance of their smile by filling gaps or smoothing out chips—sometimes even brightening discolored teeth. One of the easiest ways to make those improvements is with dental bonding from their cosmetic dentist in Indianapolis. Dental bonding is a simple procedure used to restore your smile from cosmetic flaws or damage. We simply apply a high-quality, tooth-colored dental composite to your teeth. This cosmetic procedure can repair teeth that are decayed, chipped, discolored, and believe it or not, even give teeth new length. Sometimes, dental bonding is used as a cosmetic alternative t metal fillings. You won’t believe how easy, affordable, and pain-free cosmetic dental bonding is! It all starts with a simple scheduled consultation with your dentist. 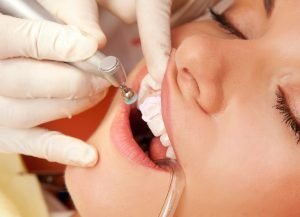 By communicating openly with your local dentist, we can generate a custom procedure plan to improve your natural smile. If cosmetic bonding is the right treatment for you, you’re in luck! Bonding is one of the quickest treatments available in dentistry. One of the best things about cosmetic bonding is that it can be completed all during a single appointment! Your cosmetic dentist will first determine the shade of your teeth and match the composite resin perfectly. Then, your dentist will gently etch the surfaces of your teeth. This leaves your natural tooth structure raw, creating a better surface to bond the dental resin to your teeth. Each tooth will then be coated with a light conditioning liquid. This will help your cosmetic bonding to permanently stay on your teeth. After your natural tooth is prepared, your dentist will apply the tooth-colored resin and shape it according to your smile goals. Your dentist will then harden the resin with a special ultraviolet light or laser. After the dental material has been solidified, your dentist will finish your procedure with a natural looking polish. Are You Ready to Restore Confidence in Your Smile? If you’re looking for a swift, easy fix, look no further than cosmetic dental bonding. You can fix a multitude of flaws without having to have multiple procedures. Not only is the price a great reason to move forward with this cosmetic procedure, but a lot of patients are simply ecstatic with the results. If you have a chipped, slightly misaligned, or otherwise imperfect smile that needs cosmetic restoration, a local dentist may be able to help you. Now that you know that you can do so easily and affordably, what are you waiting for? 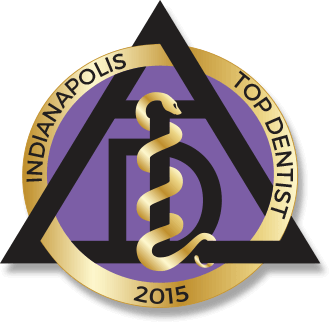 The dentists at Indianapolis Family Dentistry use modern technology and esthetic services to produce gorgeous, natural-looking results. We know that your smile is important to how you look and feel, so we do our best to help you reach your smile goals. If you would like to speak to any of our dental experts about how cosmetic services can improve your smile, feel free to call our Indianapolis office. Comments Off on A Dentist in Indianapolis Can Use Bonding to Fix a Smile!